Join Online Computers CEO and cybersecurity expert, Carl Scalzo, as he reviews some of the most critical IT security threats that are potentially putting your business at risk. Firewalls and anti-virus software are no longer enough to protect your organization. 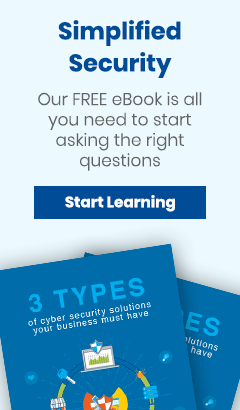 From cybercriminals to rogue employees, learn what actions you MUST take and how to protect your business and minimize the threats that are always lurking. Carl has over 25 years experience and also was chosen to speak on multiple cybersecurity panel discussions, including New York Law School and the NJBIZ. Register today and take the proper steps to ensure you are protected!